A US branch of digital agency Huge jumped early on the Pokémon Go bandwagon and saw a big sales uplift in its cafe as a result. The Huge Cafe is located on the Atlanta-based agency's ground floor, and is both a functioning coffee shop and a testing ground for retail concepts. The cafe is open to the public and, according to Huge, it saw a 400% return on investment after paying for "lures" in Pokémon Go. Lures allow players to catch more Pokémon over a period of 30 minutes, and are only available at designated "Pokéstops" within the game – in this case, the cafe. Pokémon Go launched in the US on 6 July, building user numbers over the weekend as the hype spread. On 11 July, Huge bought its first Pokémon lures and found "a few new customers" came in to have a drink, though most players stayed out on the street. But on 12 July, when Pokémon Go hype was at its peak, sales inside the cafe were 27.4% higher than the average Tuesday. The agency isn't giving out exact numbers. The upward trend was helped by the cafe offering free device chargers, given Pokémon Go is a substantial drain on phone battery. The trend continued the following day, with sales up 28.4% on the average Wednesday. Huge Atlanta's managing director Michael Koziol and its executive creative director Derek Fridman wrote: "Active players had been walking in the Atlanta heat for days on end, as hatching some of the eggs meant walking up to five miles. "Visitors to the café held down tables for hours at a time thanks to the proximity of our two lured Pokéstops and the convenience of charging, Wi-Fi, and air conditioning (the high temperature on Wednesday was [33 degrees Celsius])." Part of Huge's results may come down to executing early on a fad. The agency acknowledged this but suggested augmented reality was bigger than Pokémon Go. The pair wrote: "What do you do, and how do you react, when the primary reason certain people visit your business is not the primary reason you are in business? 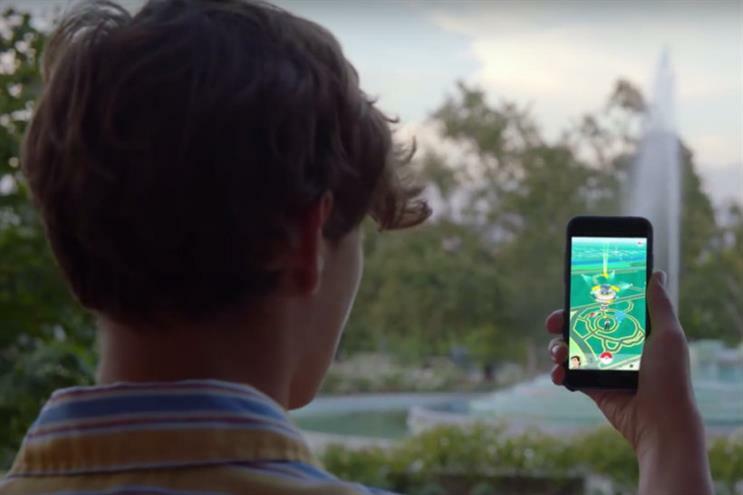 "Games like Pokémon Go have the potential to turn any physical location into an attraction. Any corner or block could attract a Times Square-sized crowd if the mixed-reality game creates enough excitement and payoff for people to visit or converge." Another aspect of augmented reality is its impact on location. An area not conventionally interesting to passersby might suddenly become popular due its AR elements. "What will happen when there’s a virtual overlay on the physical world that creates new traffic patterns that defy the conventional real estate models upon which rental rates have been established?" the pair wrote. It isn't just agencies and small-scale retailers experimenting with Pokémon Go, after McDonald's signed up as the first sponsor in Japan.